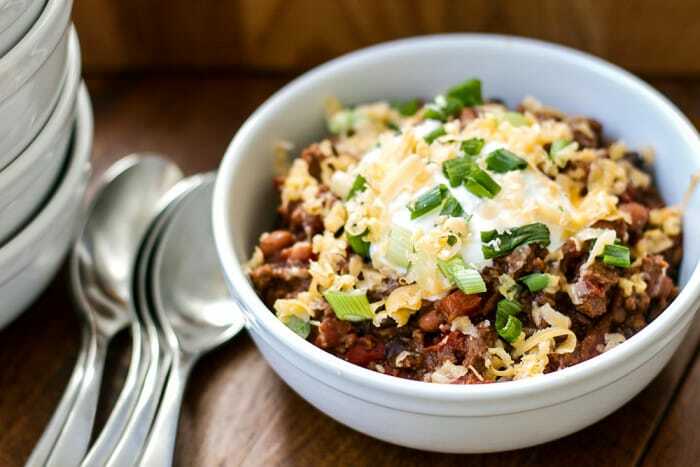 This easy ground beef chili is hearty and comforting. 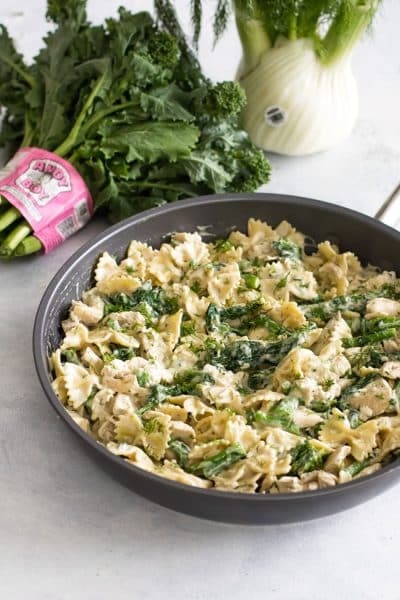 Top it with all your favorite garnishes like cheddar cheese, sour cream and green onions for a cozy cold-weather dinner! 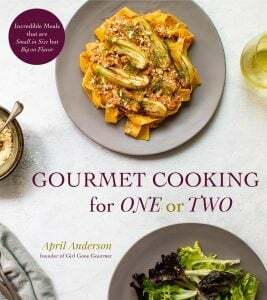 We all need easy recipes to turn to when times are busy. Like now, right? Speaking of which, where did the weekend go? Ours was a blur of Christmas lights (so happy the weather was nice enough to get that done! ), gift shopping, house cleaning, and entertaining. Now suddenly it’s Monday and I have no idea where the last two days went. Such is life this time of year. It’s all good stuff though – we got all of our Christmas cards done on time, I’m almost done shopping, and only four days stand between me and two whole weeks off from work – hallelujah! Oh, and the best news, my mom arrives this Friday to spend Christmas with us. It’s been four years since we’ve spent the holidays together and I’m so, so happy that she’ll be with us this Christmas. It’s a simple concoction – ground beef, tomatoes, tomato sauce, a couple veggies, and beans – and it’s so easy to make. This version is inspired by the one my mom used to make every Christmas Eve – it was usually freezing cold outside, so my brothers and I would have big steaming bowls of homemade chili before our family headed off to Christmas Eve services. It warmed us up for the frigid cold car ride (in Wyoming your car is finally warmed up about the time you arrive at your destination) and it kept us full and happy. There are a few things to love about this recipe. First, it’s pretty low maintenance – there’s one onion and one bell pepper that needs to be diced, but the rest of it is pretty much dump and stir. 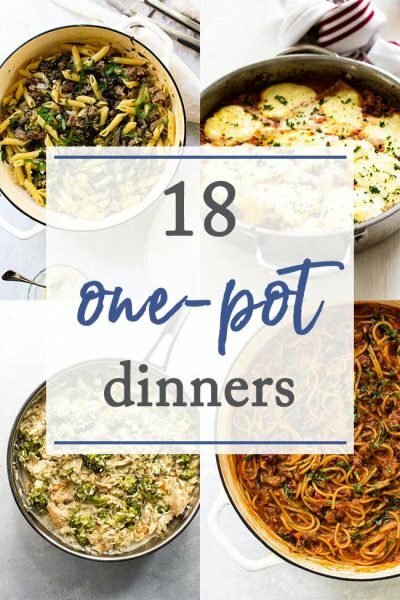 Second, it can all be made in one pot on the stove, which is something I’m sure we all can appreciate – no pile of dishes to worry about once it’s all said and done. 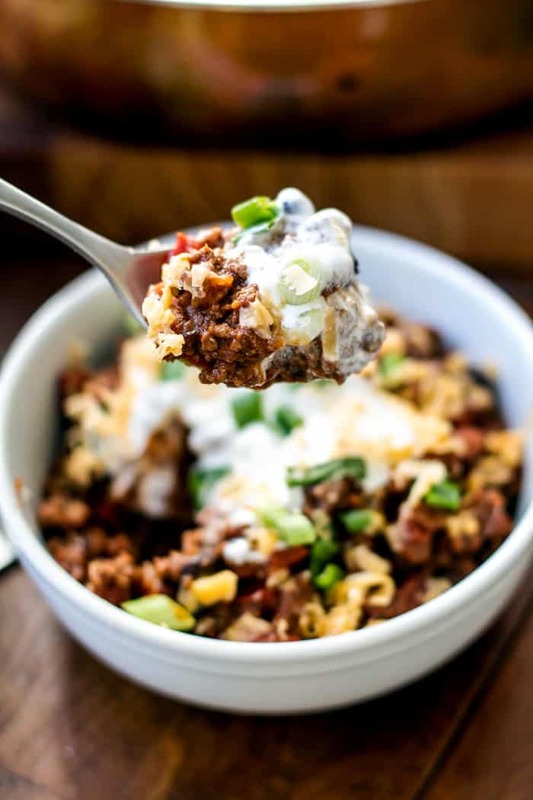 Third, it’s versatile – it’s great served up in a bowl with sour cream, cheese, and green onions, but what about spooning it over baked potatoes? Or maybe some nachos? How do chili dogs sound? You should make a big batch of it, freeze it (did I mention it freezes well?) and use it for all sorts of things. 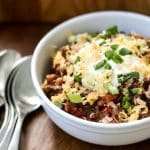 I love this easy ground beef chili because it reminds me of Christmas in Wyoming and my mom who always made the holidays so special for me and my brothers. This is a simple ground beef chili inspired by the one my mom made for us every Christmas Eve. It’s hearty and will warm you up on a cold winter’s day! In a large pan (I used a 5-quart pan), heat the olive oil over medium heat. Add the diced onions and cook for about 10 minutes, or until they’ve softened. Add the diced bell pepper and continue cooking for another five minutes. Add the chili powder and garlic powder and stir to coat all of the vegetables. Add in the ground beef, breaking it apart with a spatula, and cook it until it’s no longer pink. Add the diced tomatoes, tomato sauce, enchilada sauce and both cans of beans and stir until everything is well incorporated and then bring it to a simmer. Let the chili simmer on low for at least two hours or until thickened (see note). 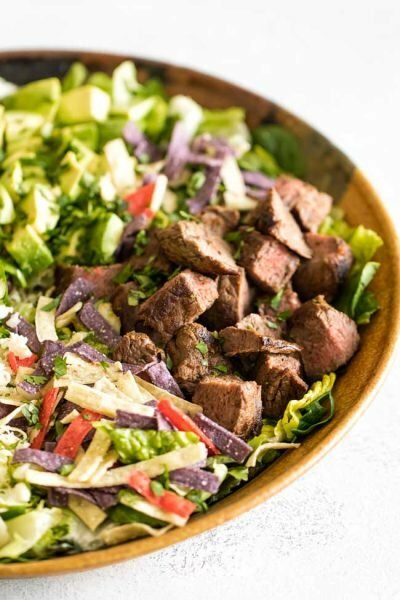 Serve with a dollop of cream cheese, grated cheddar cheese, and chopped green onions. 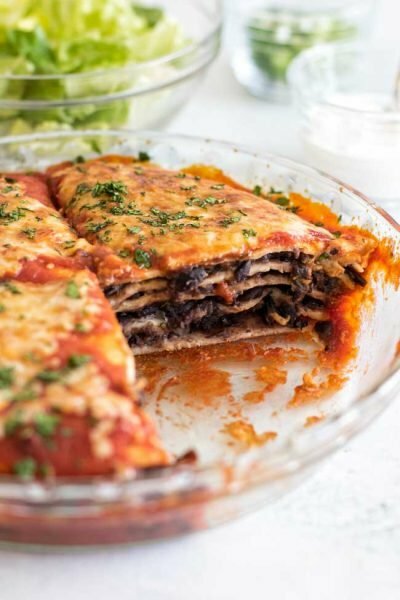 The enchilada sauce is optional – I just happen to be addicted to the stuff and put it in and on everything. I use the stuff in a jar, but feel free to use what you like or skip it all together. If your chili gets too thick you can thin it with either water or some beef stock. About half-way through the simmering I add about a 1/4 cup of water just to keep it from getting too thick too fast. Nutrition estimates do not include the garnishes. Sounds like a perfect, no nonsense chili recipe. 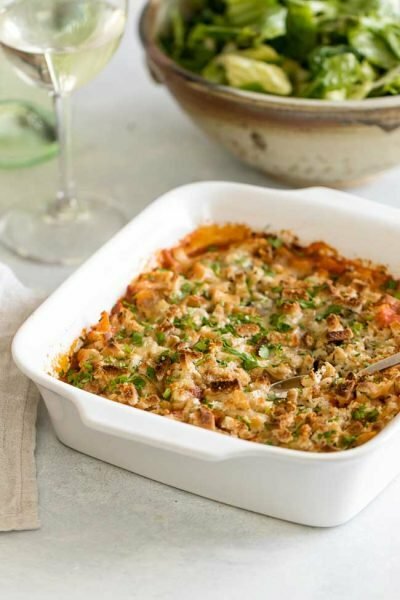 I’m making this…comfort food for a chilly 52° Florida day. Thanks April. Snowy day in Colorado…making this now for lunch. And dinner! Hi there- I just wanted to check- is it really 1/4 cup of chili powder? Thanks! Hi Caryn, it is 1/4 cup of chili powder. I used a mild one, so you can definitely adjust based on how spicy you like it. 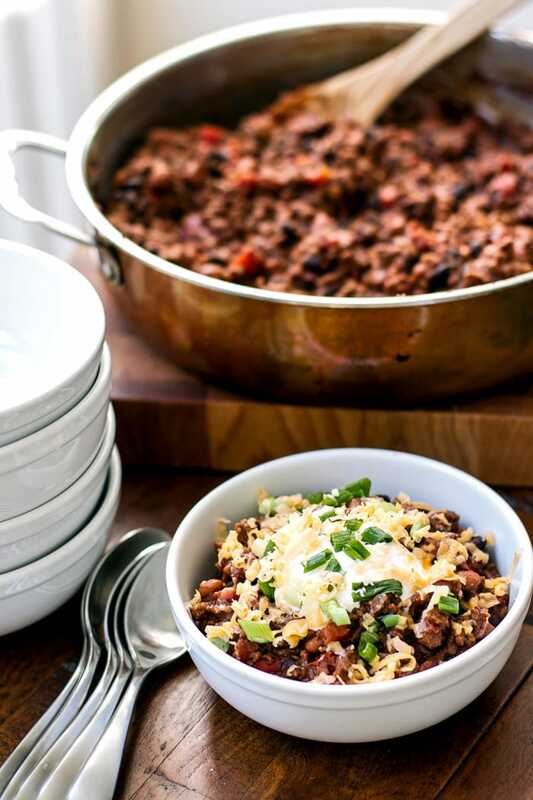 I love chili and your chili looks amazing, will be making this very soon. Have a great visit with your Mom, I know the feeling my eldest is back this year to spend Christmas with us, after 4 years studying in Toronto. Have a wonderful Christmas and relaxing 2 week vacation. Thank you! And, yes, ’tis the season for comfort food!